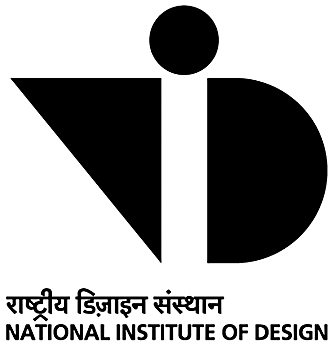 The National Institute of Design (NID) is internationally acclaimed as one of the foremost multi-disciplinary institutions in the field of design education , applied research, training, design consultancy services and outreach programmes. The institute functions as an autonomous body under the Ministry of Commerce & Industry, Government of India. NID has been recognised as a Science and Industrial Research Organisation by the Department of Science & Technology, Government of Indiais recognised by the Department of Scientific and Industrial Research, Government of India as a Scientific and Industrial Research Organisation. Forms can be downloaded and printed from the website and sent to the Admission Office, National Institute of Design, Paldi, Ahmedabad-38007 along with a demand draft of Rs.1500/- for general category and Rs.750/- for reserved categories (SC/ST/OBC/PH) drawn on any bank in favor of ‘National Institute of Design’ payable at Ahmedabad. 1.Graduate Diploma Programme in Design (GDPD) of 4 years duration for students after 10+2 or equivalent like AISSCE/ IB/ ISC. 2.Post-Graduate Diploma Programmein Design (PGDPD) of 2 ½ years duration for graduates from various domains specific to each discipline. Design aptitude test for GDPD (at all centres) JANUARY 20, 2013. SUNDAY. Design aptitude test for PGDPD (at all centres) JANUARY 19, 2013. SATURDAY. Call letters for second phase of admission procedure that consist of Studio test and interview at Ahmedabad, Gandhinagar and Bangalore will be sent by March 4th, 2013. Dates of the studio tests/ interviews GDPD Mid April. Dates of the studio tests/ interviews PGDPD Mid April. 1. Students who have passed or who will appear for qualifying examinations under the Higher Secondary (10+2) or equivalents like AISSCE/ IB/ ISC during the academic year 2012-13. 2.Successful candidates shall be given admission to the academic programme, by the institute, subject to their passing the qualifying examinations. The medium of instruction at NID is English. 3.Upper age limit for candidates is 20 years (relaxable by 3 years for reserved categories) as on June 1, 2013. 4.Allotment of the discipline of choice at the end of Foundation year is NOT guaranteed. Discipline allotment takes place only at the end of the first year (Foundation Programme), based purely on student’s performance in the Foundation Programme and the number of seats available in desired discipline. 1.Candidates having a Bachelor’s degree or equivalent including those who will be appearing for the qualifying examinations during the academic year (2012-13) in the areas mentioned against each discipline are eligible to apply. 2.Successful candidates shall be given admission to the academic programme, by the institute, subject to their passing the qualifying examinations. 3.Those applying for two programmes should send separate application forms along with two separate sets of documents for each programme. One cannot apply for more than two PG Programmes. 4. . Upper age limit for candidates is 30 years (relaxable by 3 years for reserved categories) as on June 1, 2013. 2.Creative Ability Test (CAT) for design course or Managerial Ability Test (MAT) for apparel production, management and technology courses. At NIFT, the final score is calculated based on various factors such as marks in Bachelor's and Master's degree. Generally, the marking style is 40% GAT, 40% CAT, 20% Situational Test (Bachelor's programme in design); 60% GAT, 40% MAT, 10% GD and 10% Interview (Master's programme in design management and fashion technology). The score decides the merit list and the city/centre you are allotted. However, this ratio is subject to change at NIFT and may differ at other institutes. It is suggested that thoroughly read the institution's prospectus before applying.